In his State E-Discovery column, Mark Berman examines the question: “What happens when a ‘faithless servant’ employee absconds with confidential company emails, and then deletes them from the company’s server. Does a claim for conversion lie? What happens when a “faithless servant” employee absconds with confidential company emails, and then “deletes” them from the company’s server—does a claim for conversion lie? The answer is “maybe” as held in Young Adult Inst. v. Corporate Source, 2018 N.Y. Misc. LEXIS 1305, 2018 NY Slip Op 30640(U) (Sup. Ct. N.Y. Co. Apr.11, 2018) (Kornreich, J.). Motions to dismiss based upon “documentary evidence,” pursuant to CPLR Rule 3211(a)(1), depending on the circumstances, may be properly predicated upon emails and social media posts as held in Petito v. Law Offs. Bart J. Eagle, 2018 N.Y. Misc. LEXIS 1058, 2018 NY Slip Op 30499(U) (Sup. Ct. N.Y. Co. Mar. 3, 2028 (Masley, J.). Emails and social media posts also can either properly support or defeat a motion for summary judgment as found in both Luce v. Fleck, 2018 N.Y. Misc. LEXIS 1421, 2018 NY Slip Op 28122 (Sup. Ct. Livingston Co. Apr. 18, 2018) and Yun Capital v. Judge, 2018 N.Y. Misc. LEXIS 2015, 2018 NY Slip Op 31009(U) (Sup. Ct. N.Y. Co. May 23, 2018) (Kornreich, J.). In Doe v. Bronx Preparatory Charter Sch.,160 A.D.3d 591, 2018 N.Y. App. Div. LEXIS 2839, 2018 NY Slip Op 02898 (1st Dept. April 26, 2018), Matter of Energy & Envtl. Legal Inst. v. Attorney Gen. of the State of N.Y., 2018 N.Y. App. Div. LEXIS 4044, 2018 NY Slip Op 04102 (1st Dept. June 7, 2018) and O’Halloran v. Metropolitan Transp. Auth., 2018 N.Y. Misc. LEXIS 1282, 2018 NY Slip Op 30619(U) (Sup. Ct. N.Y. Co. Apr. 10, 2018), courts were asked to determine whether the electronically stored information (ESI) sought in discovery was overbroad or insufficiently based upon speculation or whether production was required due to a waiver of privilege resulting from disclosure to a third party. In Young Adult, the motion court dismissed without prejudice with leave to replead a cause of action alleging conversion resulting from the alleged “deletion” of a company’s emails by a former “faithless servant.” It held that the complaint failed to “unequivocally” allege, whether for tangible or intangible property, that plaintiff was “deprived of access” to its property where, notwithstanding “deletion,” the complaint failed to allege that the company “actually lost access” to its emails. The court further held that where access to the “deleted” emails is not lost, the employer suffered no deprivation. However, it expressly refused to opine as to “what damages are available on a claim for conversion based on the deletion of emails where the emails were “initially inaccessible but were eventually capable of being restored,” presumably referring to a company’s right to recover against the “faithless servant” for such restoration expenses. In O’Halloran, the motion court held that plaintiff’s document demands were “specifically tailored and relevant to the subject inquiry” as plaintiff alleges she was subjected to gender and sexual orientation discrimination, and was ultimately retaliated against by the defendants after a certain person was promoted on or around Sept. 21, 2011. However, the motion court found that plaintiff failed to limit its demands to a “confined time frame” and thus directed that the documents only be produced from Sept. 1, 2011 to Nov. 25, 2015, two years after the commencement date of this action. In Energy & Envtl, the First Department affirmed the denial of petitioners’ Freedom of Information Law request seeking personal emails sent between respondent and eight individuals, containing any of seven terms during a certain time period on the basis that petitioners “failed to establish a reasonable likelihood that such accounts contain any records responsive to this particular FOIL request.” The court held that there was an “insufficient showing that respondent used private accounts or devices to carry out his official duties which would warrant ordering respondent’s private email account(s), text messages or other private devices be searched.” The court correctly found that “respondent’s right to invoke the inter- or intra-agency exemption to FOIL as to an email message sent to respondent was not waived when the sender added a third party to the ‘cc’ field” of the email and instructed the third party to print the attached materials and deliver them to respondent, in the absence of any expectation that the third party would review the substance of those materials or disclose them to others. 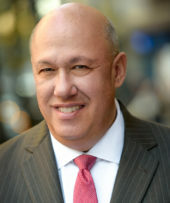 Mark A. Berman is a partner at Ganfer Shore Leeds & Zauderer and chair of the New York State Bar Association’s Committee on Technology and the Legal Profession.